Brandon Tyler Russell is an actor and performer who has been in show business since a very young age. He has worked in both television and movies, appearing in such shows as The Beast, Hotel P, and Grey’s Anatomy and movies such as Wiener Dog Nationals, Smitty, and Beverly Hills Christmas parts 1 and 2. Russell also appeared as Lenny in the indie family action comedy The Martial Arts Kid (check out my review of that flick here), and is set to appear once again in the sequel The Martial Arts Kid 2: Payback. In this interview Russell talks with this writer about The Martial Arts Kid, the upcoming sequel, and more. Bryan Kristopowitz: How did you get involved in the first The Martial Arts Kid movie? What made you want to do it? 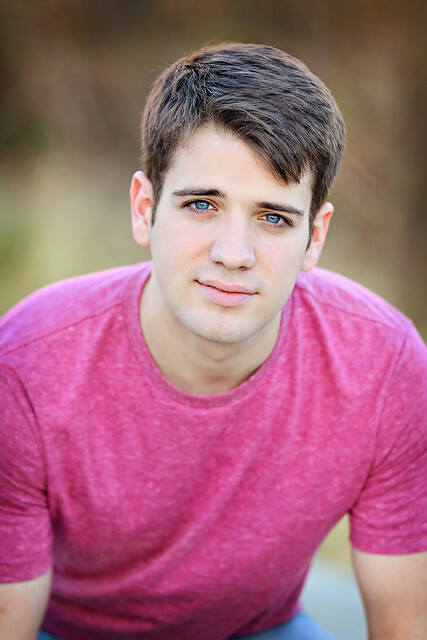 Brandon Russell: I got involved with the first movie from previously working with the director Michael Baumgarten on two other projects (Smitty and Wiener Dog Nationals). I wanted to get involved with the film because I liked the script and the concept behind it. BK: How would you describe your The Martial Arts Kid character Lenny? BTR: Lenny is very selfless, helpful, and friendly. He’s really more of the nice kid next door type, always looking out for others along the way. BK: What was it like filming in Florida? BTR: Filming in Cocoa Beach, FL was amazing!! I am already looking forward to being back there. The town was so friendly and fun, the food was great, and the beaches were beautiful! We had a blast filming down there last time and I would imagine we will have fun once again. BK: Will you be playing Lenny again in The Martial Arts Kid 2 or will you be playing a different character? BTR: Yes, I am reprising my role as Lenny once again. BK: How important is the “anti-bullying” message at the heart of The Martial Arts Kid to you? BTR: The anti-bullying message is an important part of the film and of course, my character (Lenny) was bullied in the first film. The topic of bullying has been on the forefront of many schools in the past few years especially and I think it is great to incorporate it into a family film!! BK: How different is working on something like The Martial Arts Kid, an indie family action movie, as opposed to something like the critically acclaimed TV show Grey’s Anatomy that airs on a major broadcast network? BTR: Completely different. Working on TV is a lot more rushed because you are filming an hour long show in 8 days. It’s hard to also come onto a set being a guest star for 1 episode on such a long running show where everyone has bonded over 14 seasons. Filming a movie, you have more time to get the shots in and perfect things. You also have time off from set to bond with cast on a more personal level, so that makes it a more relaxing environment, if that makes sense. BK: Do prefer working in television or in movies or does it matter? BTR: I actually don’t have a preference. I just enjoying being on set and working period. Get me in front of a camera and I am in my element, ready to go. BK: How did your commercial acting experience prepare you for movie and TV show acting? BTR: It didn’t…ha! Other than I guess working at a young age and learning set etiquette, but other than that, nothing from commercial acting prepared me for movie/TV acting. Theatrical and commercial gigs are so completely different. Many times in commercials, it is all about a look and no dialogue is even spoken. I think I actually learned more working on some short student films initially. BK: Do you have a martial arts background? BTR: Actually, no. I learned a few things on set of the first film, but that’s it. I am super excited to start training for the film. I know it will be a lot of hard work, but I am ready to learn and make it happen, as well as add a new skill to my bag of tricks. BTR: I am actually getting ready to start working on a new horror film (another indie project), called Smile. I play the lead role of Shawn Carpenter and the film actually also has Tony Moran in it- you know, the original Michael Myers!! BK: According to your website you are a major Star Wars fan. What is your most cherished piece of Star Wars memorabilia? BTR: I don’t have a favorite or most cherished piece. My entire collection is cherished. I have been collecting since I was a little kid (about 5 years old). I have some original pieces from 1977 that are super cool, but also have some newer stuff that I also like a lot, too. I have thousands of pieces in my collection!! BK: If you did have a pet monkey, what would you name it? BTR: If I had a pet monkey, I would name it Marcel, just like the monkey on Friends. However, it depends on what kind of monkey it was and if the name fit his/her personality. A very special thanks to Brandon Tyler Russell for agreeing to participate in this interview and to david j. moore for helping set it up. Check out Brandon Tyler Russell’s official website here and Twitter page here. Check out his imdb page here. Check out the The Martial Arts Kid 2: Payback Indiegogo page here. Check out the The Martial Arts Kid official website here. Check out the The Martial Arts Kid 2: Payback official website here. Check out the Traditionz Entertainment website here. Check out the The Martial Arts Kid Facebook page here, Twitter page here, and Instagram page here. 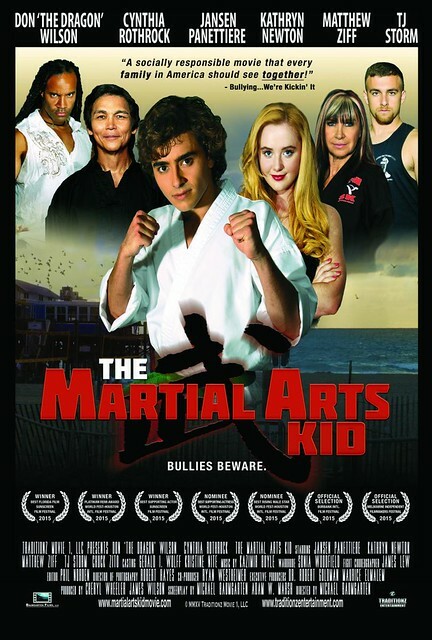 The Martial Arts Kid poster from the movie’s official website. The Martial Arts Kid 2: Payback banner from The Martial Arts Kid Facebook page. Brandon Tyler Russell image courtesy of Brandon Tyler Russell. Brandon Tyler Russell and Jansen Panettiere image from Martial Arts Entertainment.